Resources for your spiritual journey Perhaps you are looking for ways to deepen your spiritual journey, or that of your family. 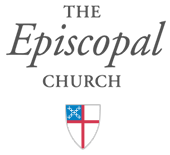 The Beauty of the Episcopal Church is that it is open to new possibilities, ancient teachings and spiritual practices that are grounded in Scripture, Tradition and Reason. We invite you to consider putting faith at the center: celebrate seasonal events, encounter God in the Bible and above all develop a strong family. Check out these family resources for Lent by clicking here. Resources for Learning At Home Online Learning Resources –adult children family youth Online Video Resources Online Courses Adult How do we discover God and the sacred in the rhythms and practices of everyday life? God is truly present to us each day, and this presence is discovered in the fabric of our lives – our experiences, our relationships, and more. We are all spiritual beings. We can discover the spiritual in our everyday lives, and recognize, understand, and respond to God’s presence in each day. God in Your Daily Life How can we see God and the sacred in the rhythms and practices of everyday life? God is truly present to us each day see more for ideas and practices https://www.ignatianspirituality.com/ignatian-prayer/the-examen#examen-part-of-your-day Find God in Your Day The Daily Examen is a technique of prayerful reflection on the events of the day in order to detect God’s presence and to discern his direction for us. Take a few minutes to reflect on your day with these five questions.